But here are some facts that you may not have known, statistics about these types of tragedies in the workplace. According to the Bureau of Labor Statistics, there were 780 work-related deaths in 2011 as a result of violence and other injuries by persons or animals, including 458 homicides and 242 suicides. Shootings were the most frequent manner of death with an alarming 78 percent of homicides and 45 percent of suicides in the workplace resulting from guns. Of course the investigation into Lanza’s motivations are still underway, but I think it’s safe to say that he and all other alleged and convicted gunmans of mass shootings were/are dealing with issues, especially mentally. To be politically correct, I am in no way saying the perpetrators are all crazy or mentally ill, rather saying that an individual must get to a certain level mentally in order to inflict harm on others and him/herself. So what does this have to do with your company? An awful tragedy such as the one in Newtown should propel employers (and employees) to take the necessary steps to ensure the stability of the mental and emotional health of the organization. The majority of workers spend most of the time in their day in the office or doing some type of work (remote positions, telecommuters, etc.). According to the infographic Workplace Stress: Signs, Causes and Treatments by Compliance and Safety, one-fourth of workers view their jobs as the number one stressor in their lives. Another 75 percent believe work is more stressful today than a generation ago. Aside from work, the majority of people have to balance other things, such as family, school and finances, which can also cause stress. Although not everyone will resort to violence (and not every violent person is stressed), some people do, especially in the workplace. Even if a worker doesn’t turn violent, he or she can allow their stress and work-related issues to affect him or her in other ways, for example shutting down and being reclusive, becoming disengaged, calling off work and not completing assignments. As individuals, it is our own responsibility to take care of ourselves and health, but employers who provide wellness programs and constantly track and monitor their employees’ overall mental and emotional well being make it that much easier. If you already offer wellness programs, expand them and push those workers who do not currently participate to start. When it comes to your health, it’s better to be safe than sorry. And if your company doesn’t offer wellness programs or doesn’t have a system in place to help employees lead a balanced life, I encourage you to take the necessary steps to implement one. An employee that is healthy and balanced on the inside makes for a better, more productive and efficient worker on the outside. 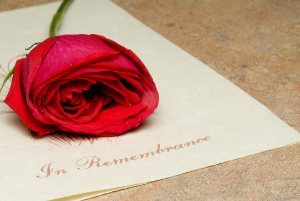 Recruiter.com remembers all the victims of the Newton, Conn. tragedy and their families.